Know where the market is moving before others do with lightning fast data. Please complete the Recaptcha before submitting. Required fields have not been completed. Please fill out all required fields and try again. Form submission failed. Please verify you have entered your email address correctly or try again later. Form submitted successfully. Thank you for registering! Once a week we'll send a trade setup to your inbox, complete with a chart and how we identified it. You'll learn how to spot more types of setups, and hopefully find one that helps your own trading. 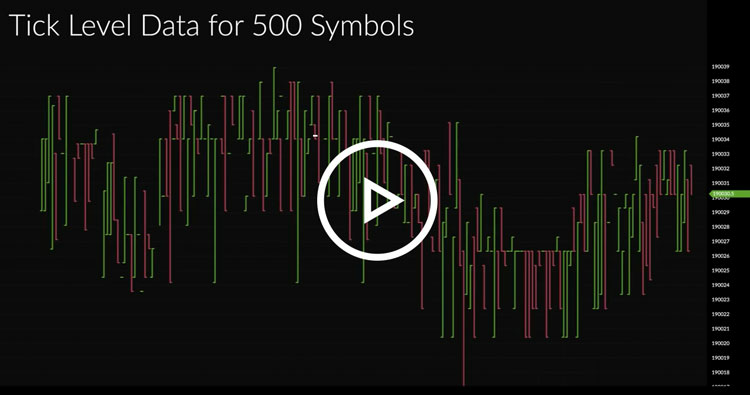 We'll help you spot and understand trade setups you want to jump on! Sign up below to receive a DAILY Market Profile newsletter. You will learn how to apply Auction Market Principles using the Market Profile graph as well as bar charts. Each newsletter serves as a Trade Lesson as well as providing actionable information. Tired of deciphering someone else’s charts? Analyze the markets faster with user-friendly, customizable charts that allow you to create charts YOUR way. Predict the future by understanding the past. Our backtesting and scanning tools empower you to gauge the effectiveness of your trading strategies before putting your money on the line. eSignal at warp speed gives you up-to–the-second market data from 100s of global markets so that you can watch trends, set your strategy, and execute your best trades without missing a beat. Learn from educators at DynamicTrend.com how to trade options for greater profits using award-winning strategies.